Encapsulation of guest molecules in carbon nanotubes (CNTs) to form encapsulation complexes is of increasing interest in many applications, for example, nanoelectronics, nanocatalysts, and energy storage, mainly due to the enhanced or modulated electronic and mechanical properties of the encapsulation complexes. However, the appropriate diameter and external structure of CNTs are crucial for the efficient encapsulation. Moreover, the low-cost encapsulation techniques for large-scale production are still required. 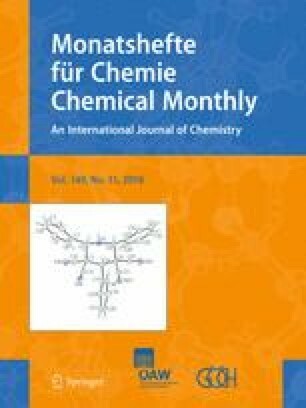 In this work, ferrocene (Fe(C5H5)2) has been chosen as a guest molecule to be encapsulated in CNTs since it is a relatively stable compound and used for a wide range of chemical and biological systems. Encapsulation of ferrocene in CNTs was carried out using low-temperature solution processing based on a capillary filling technique. The influence of surface environment, diameter, and length of the nanotubes on the encapsulation yield has been investigated. 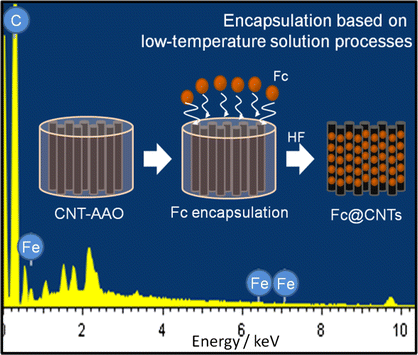 We show that even using simple encapsulation processes, ferrocene can be encapsulated inside the nanotubes when the encapsulation was performed under the suitable encapsulation conditions. PP is grateful to the Thailand Research Fund (MRG5980013) and the Development and Promotion of Science and Technology Talent Project (DPST, Thailand) for their support. We also acknowledge the Defence Technology Institute (DTI, Thailand), Laboratory for Computational and Applied Chemistry (LCAC) at Kasetsart University (KU), Kasetsart University Research and Development Institute (KURDI). A part of this work was conducted under the Center for Advanced Studies in Nanotechnology for Chemical, Food and Agricultural Industries, KU Institute for Advanced Studies, Kasetsart University, and under the project of the NANOTEC Center of Excellence for Nanoscale Materials Design for Green Nanotechnology, Kasetsart University, promoted by the NSTDA, Ministry of Science and Technology, Thailand.